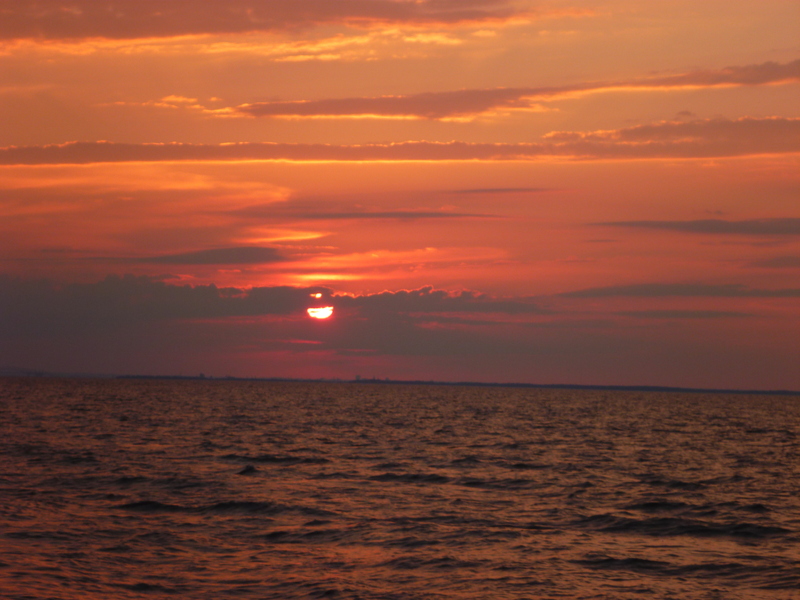 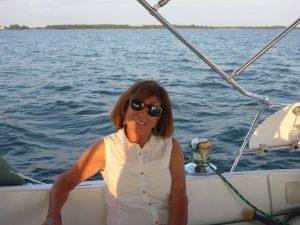 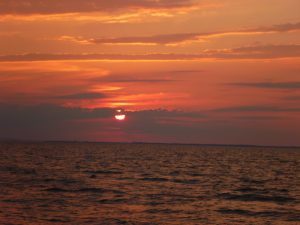 Our friends and neighbors invited us on their boat for a sunset cruise in the Bay. 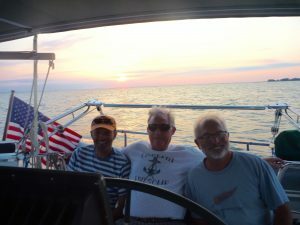 Capt Bob (in center) w/ Bob and Daniel as crew. 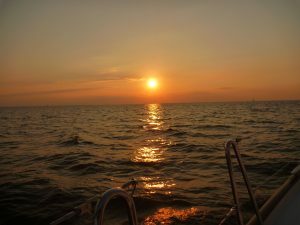 The wind was up and so were the sails as we shared a fabulous time enjoying a spectacular sunset and great companionship. 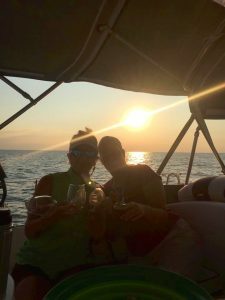 Debbie and Christina did their duty of holding the glasses and cans as the guys tended the lines. 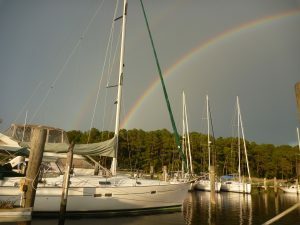 Living on a sailboat means being outside in the elements more than when we were living on land. 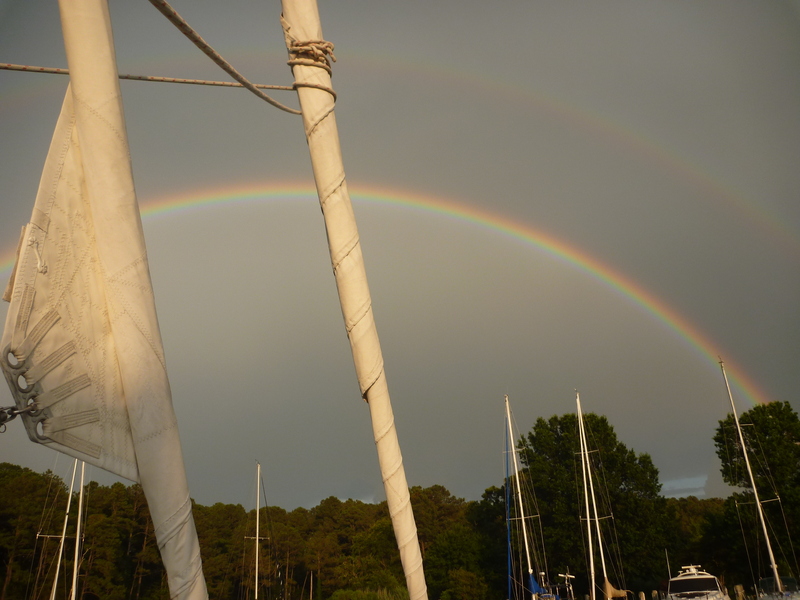 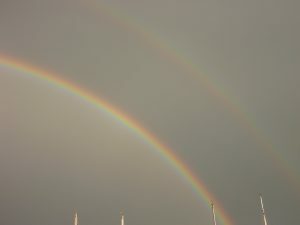 We get to experience more of nature this way and this afternoon, between the rainfalls came the magic, silence and beauty of a long lasting double rainbow. Sometimes it pays to just be sitting around not doing a whole heck of alot…or else we may have missed this spectacular sight.